The first Land Rover made its debut in 1948. It was designed with brilliant simplicity for extraordinary ability and unrivaled strength and durability. In fact, six decades on it is estimated that two-thirds of all these incredible vehicles are still at work – many of them in some of the most extreme conditions and inhospitable places on earth. For more than 25 years, Ming’s Auto Repair has been staffed by a team of experts able to provide quality service for your Land Rover. While you could take your car anywhere, Ming’s is a leading expert in the Boston area on how to properly service and repair Land Rover, regardless of age, make or model. Plus, with our focus on customer care, you’ll be given a clear understanding of the repairs required for your vehicle, including regular service. Mings Auto Repair specializes in Land Rover cars. 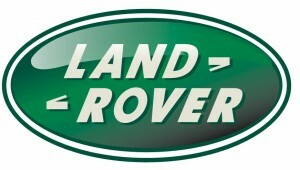 We provide Land Rover repair in the Boston, Allston, Brighton, Cambridge, Brookline and Watertown communities. Bring your Land Rover car to us for an affordable repair service. We have a 12 months or 12k miles warranty on our Land Rover auto repair.